Every network adapter has a unique MAC address embedded by the manufacturer in the firmware of the network adapter chip. 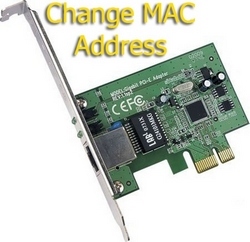 Sometimes you may need to find out or change the MAC address of the network adapter, for example, if it is used for Internet access authentication. Or if you need to hide your MAC address for security reasons. The EML Converter for EML to PDF is a versatile program to Change EML to PDF format together with the EML attachment. The software converts manifold EML emails to PDF.